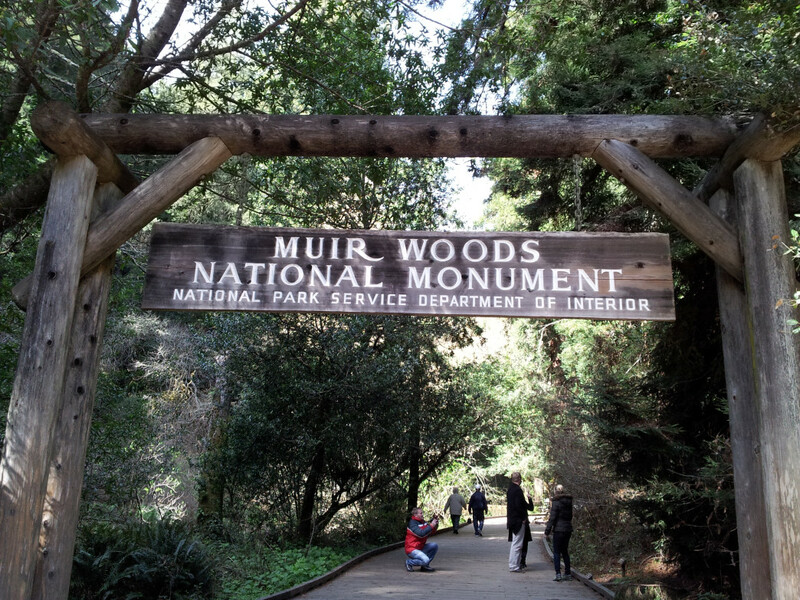 John Muir declared Muir Woods the best tree-lovers monument in the world. This internationally known park is a destination for everyone-- casual hikers, photographers, weekend warriors, and serious trail runners. Hidden in the affluent community of Mill Valley, Muir Woods is a dreamscape of 250-foot Redwoods trees and beauty you can only witness in person. It’s also a National Park, so that means crowds and a lot of rules, but there’s a clever way around both, on Canopy View trail just off Panoramic Highway. Think of that warm feeling of zooming down the express carpool lane in heavy traffic - Canopy View trail has that same effect. It’s the magic ticket into Muir Woods without paying the admission fee or trying to find a parking spot, the catch is it’s wonderfully challenging. A steep 1.7-mile run down to the Visitor Center, on a narrow trail, with patches of sun and intimidating drops on your side, it’s in the heart of the forest. Imagine Fern Gully in real life, showcasing harmonious colors of milk chocolate brown mixed with mossy forest green. The landscape alone is enchanting, and it’s also distracting on the long climb back to your car. The trail is rustic yet well traveled. Tree trunks protrude from the ground, and leaves brush right at eye level, yet the path maintains a pristine and manicured look from so many visitors’ steps. There’s a reason why Muir Woods is so popular - you’ve never seen legendary trees like this before. Most days the fog banks creep down among the treetops, surrounding you in a dreamy forest fantasy. The best part is the monument is less than 20 miles from downtown San Francisco. Canopy View Trail can be for anyone, but timid hikers and young kids should take caution. Its moments of steep terrain can be difficult, but incredibly fun. Skip over tree roots, hop on boulders, duck under branches and squeeze through dueling tree trunks. It’s an adventurous trail run with a big reward at the bottom—a National Park. The real challenge is going back to your car. It’s the same path but this time, you’re ascending steep terrain. You’ll likely see all sorts of folks on the path, many of whom began their journey from Muir Woods, curious about the infamous Canopy View trail, but few make it all the way. To get to Canopy View, take Panoramic Highway to the Mountain Home Inn. Park your car at the small, all-day use parking lot at the Inn, and follow signs towards Muir Woods/ Canopy View Trail. You've got from sunrise to sunset to explore the area. The best times to go are early mornings on a weekend, or anytime on weekdays. Canopy View begins in Mt. Tamalpais State Park and at some point in the middle, turns into Muir Woods. Rules are strictly enforced and citations are dished out for those trying to rebel. Dogs are not welcome on any point of the trail, and as you near the National Park, picnicking, using lotion and/or fragrant sprays, and loud voices are also not allowed.